Ubisoft is aiming to make China its second-largest market in the coming years as it pushes harder into Asia and beyond. As reported by Bloomberg, Ubisoft CEO Yves Guillemot stated that the developer isn't currently covering markets such as Asia or Russia well at the moment. It is looking to expand further into these markets to take advantage of untapped potential. Alongside this, Guillemot believes that cloud gaming, AR, VR, and AI are the markets that are set to grow the most over the next few years. He anticipates the games industry will grow by 15-20% over "the next several years". Meanwhile, the company is continuing to fend off a potential hostile takeover by media conglomerate Vivendi. The firm is set to increase its stake in Ubisoft to the 30% threshold, after which it would be required by French law to make a bid on the developer. However, Vivendi's COO Stephane Roussel stated that the company hasn't yet decided whether it will make or bid or just sell its stock. Ubisoft has not made life easy for the conglomerate, having refused to give it a board seat. Ubisoft has already started making moves into China through a partnership with Tencent and Playcrab. 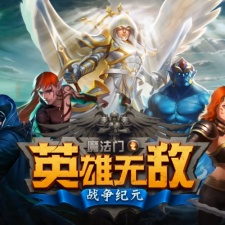 The trio co-developed and published a China-only mobile entry in the Might & Magic series. Ubisoft's Yves Guillemot: Asia mobile segment "growing significantly"